The popular Subversion client for OS X, Windows and Linux. Beginners can start quickly, Experts become more productive. Work Your Own Way - As a standalone GUI or integrated into the operating system. On the platform of your choice. Familiar Concepts - Continue to work with concepts you're already familiar with from other version control systems. Stay Up-To-Date - SmartSVN keeps you up-to-date on SVN activities of your team members and projects. 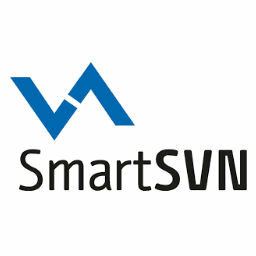 Effective GUI - Attention to detail is what lifts SmartSVN well above the average SVN client. Customization - You can change keyboard shortcuts, SVN defaults or define external tools. You Won't Be Alone - Everyone can get really stuck sometimes. Our legendary e-mail support will get you back on track.